Another BRAC in 2019? Defense News reports that the traditional Pentagon support for a base closure round has gained support from from Sen. John McCain. DoD’s 2019 BRAC proposal would have the Government Accountability Office, and not an independent commission, validate the analysis before Congress makes the final call. In the wake of North Korea’s sixth nuclear weapons test, the White House wants to increase weapon sales to Japan and South Korea, reports Defense News. Under the Foreign Military Sales program, foreign countries must first request what they would like to buy. That request is then processed by the State Department, which checks the orders for any legal or regulatory hurdles, and then is passed on to Congress, which must OK the sale. Irma, classified as a Category 5 storm, is expected to pass just to the north of Guantanamo, according to Navy Times. Navy officials decided to “shelter in place” at the naval Base at Guantanamo Bay, Cuba, but to evacuate non-essential personnel at Naval Air Station Key West. In preparatibn for Irma’s impact and aftermath, Military Times reports the Navy has ordered the amphibious assault ship Kearsarge, the dock landing ship Oak Hill, and the embarked Marines of the 26th Marine Expeditionary Unit to standby for possible tasking once the storm passes. Hurricane Harvey devastated Texas, but could bring some fiscal order to Washington, says Reuters, reporting Republicans and Democrats will need to put political differences aside to approve spending to repair the flood damage in and around Houston. President Donald Trump just lobbed a ticking immigration time bomb at Capitol Hill with his decision to leave the fate of 800,000 so-called Dreamers in limbo — and lawmakers have no idea how they’ll defuse it, says Politico. Sen. Marco Rubio (R-FL), a member of the bipartisan “Gang of Eight” that crafted a sweeping immigration bill four years ago, said, “I think by and large, if you were able to have a stand-alone vote on a good product, [you] could pass it. If you start adding other things to it, that’s where I think it falls apart.” A list of talking points on ending DACA programs supplied to GOP legislators “urges DACA recipients … to prepare for and arrange their departure from the United States,” reports The Hill. Serving as the president’s chief of staff may be the pinnacle of retired Marine Gen. John Kelly’s distinguished career, reports Marine Corps Times, but Kelly says, his favorite job was as a Marine noncommissioned officer. Marine Corps Times reports Chief of Staff Kelly: The best job I ever had was as a sergeant in the Marine Corps. US Securities and Exchange chair says regulators must do more to help mom-and-pop investors better understand the potential risks posed by cyber crime, reports Reuters. SEC’s concerns relate to information stolen to gain market advantage and ensuring financial firms take the appropriate steps to safeguard sensitive information. BAE Systems Technology Solutions & Services Inc., Rockville, Maryland (N00421-17-D-0045); Science and Engineering Services LLC, Huntsville, Alabama (N00421-17-D-0046); Sierra Nevada Corp., Centennial, Colorado (N00421-17-D-0047); Coherent Technical Services Inc., Lexington Park, Maryland (N00421-17-D-0048); Dayton T. Brown Inc., Bohemia, New York (N00421-17-D-0049); J.F. Taylor Inc., Lexington Park, Maryland (N00421-17-D-0050); KIHOMAC, Fairborn, Ohio (N00421-17-D-0051); Science and Engineering Services LLC, Huntsville, Alabama (N00421-17-D-0052); and Strata-G Solutions Inc., Huntsville, Alabama (N00421-17-D-0054), are each being awarded indefinite-delivery/indefinite-quantity, multiple-award contracts to provide prototype air vehicle modification, mission systems, aircraft stores and support equipment designs, build-to-print technical data packages, kits and installed systems for test and evaluation of new systems and capabilities as well as fleet introduction. These services are in support of the Naval Air Warfare Center Aircraft Division’s Aircraft Prototype Systems Division (APSD). The scope of this contract is to cover all phases of APSD projects from feasibility studies and concept development through prototype development, systems integration laboratory standup and testing concluding with production in limited quantities to meet test and evaluation, fleet evaluation or urgent fielding requirements. The estimated aggregate ceiling for all contracts is $486,952,035, with the companies having an opportunity to compete for individual orders. Work will be performed in Patuxent River, Maryland; and at contractor facilities, and is expected to be completed in September 2022. Funds are not being obligated at time of award, funds will be obligated on individual orders as they are issued. These contracts were competitively procured via an electronic request for proposals in two lots: Lot I, competitive unrestricted, and Lot II, competitive small business set-aside. Seven proposals were received for Lot I; 10 proposals were received for Lot II. 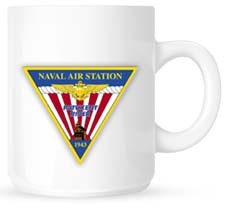 The Naval Air Warfare Center Aircraft, Patuxent River, Maryland, is the contracting activity. Atlantic Diving Supply Inc., Virginia Beach, Virginia, is receiving $17,620,342 for delivery order M67854-17-F-1255 to the previously awarded firm-fixed-price, indefinite-delivery/indefinite-quantity contract M67854-16-D-1100 for the purchase of 425 Shoulder-Launched Multipurpose Assault Weapon (SMAW) Mod 2 systems. Work will be performed at Londonderry, New Hampshire (62.7 percent); and Lynchburg, Virginia (37.3 percent), and is expected to be completed by Sept. 7, 2018. Fiscal 2017 procurement (Marine Corps) funds in the amount of $17,620,342 will be obligated at time of award and will not expire the end of the current fiscal year. 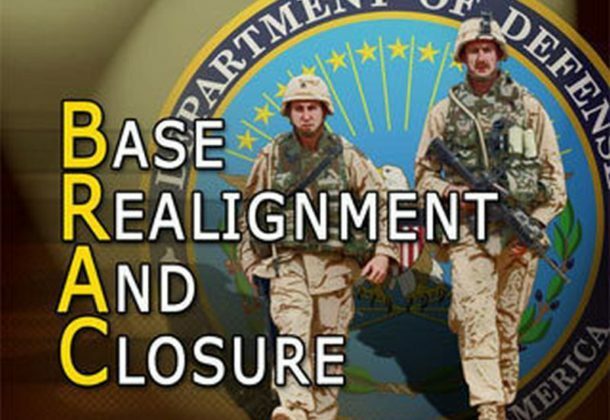 The base contract was competitively awarded via the Federal Business Opportunities website, with three offers received. The Marine Corps Systems Command, Quantico, Virginia, is the contracting activity (M67854-16-D-1100). Truston Technologies Inc., Annapolis, Maryland (N39430-14-D-1497); Sound & Sea Technology Inc., Lynnwood, Washington (N39430-14-D-1498); GPA Technologies Inc., Ventura, California (N39430-14-D-1499); PCCI Inc., Alexandria, Virginia (N39430-14-D-1500); and MAR Range Services LLC a Division of OASIS Systems LLC, Lexington, Massachusetts (N39430-14-D-1501), are being awarded a combined $15,000,000 for firm-fixed-price, cost-plus-fixed-fee modification under a previously awarded multiple award, indefinite-delivery/indefinite-quantity contract to exercise a six month option period for worldwide ocean engineering services. The work to be performed provides for ocean engineering services in support of projects involving ocean cable systems and ocean work systems, such as shipboard load handling systems and undersea work systems. Contractors will also provide waterfront facilities, offshore structures, moorings and ocean construction equipment. The work will be performed in environments ranging from arctic to tropic and at all water depths where construction, installation, maintenance, inspection, repair, and salvage operations may be needed. The total contract amount after exercise of this option will be $99,000,000. Work will be performed at various Navy and Marine Corps facilities worldwide. Work is expected to be completed March 2018. No funds will be obligated at time of award, funds will be obligated on individual task orders as they are issued. Task orders will be primarily funded by fiscal 2018 working capital funds (Navy). The Naval Facilities and Engineering Expeditionary Warfare Center, Port Hueneme, California, is the contracting activity. MPR Associates Inc., Alexandria, Virginia (W91237-17-D-0010); and Professional Project Services Inc., Oak Ridge, Tennessee (W91237-17-D-0011), will share in a $48,000,000 firm-fixed-price contract for engineering and construction services for various international and interagency support projects. Bids were solicited via the Internet with two received. Work locations and funding will be determined with each order, with an estimated completion date of Sept. 5, 2022. US Army Corps of Engineers, Huntington, West Virginia, is the contracting activity. Correction: Contract announced on Aug, 28, 2017, to L3 Computer Sciences Corp., Millersville, Maryland, for $9,147,202 should have stated the contract number as N00024-16-C-6239 not N00024-13-C-6239. All other information is correct.